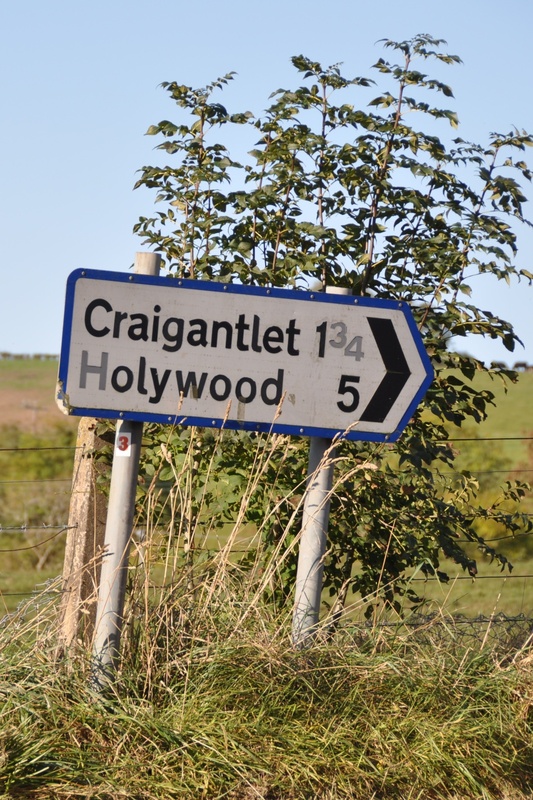 Officially, there is a townland in County Down called Craigogantlet. However, I defy anyone to find that spelling with the middle “o” anywhere on the hills between Newtownards, Dundonald and Bangor. Actually, there could be any number of extra letters hidden under the dirt on that sign. 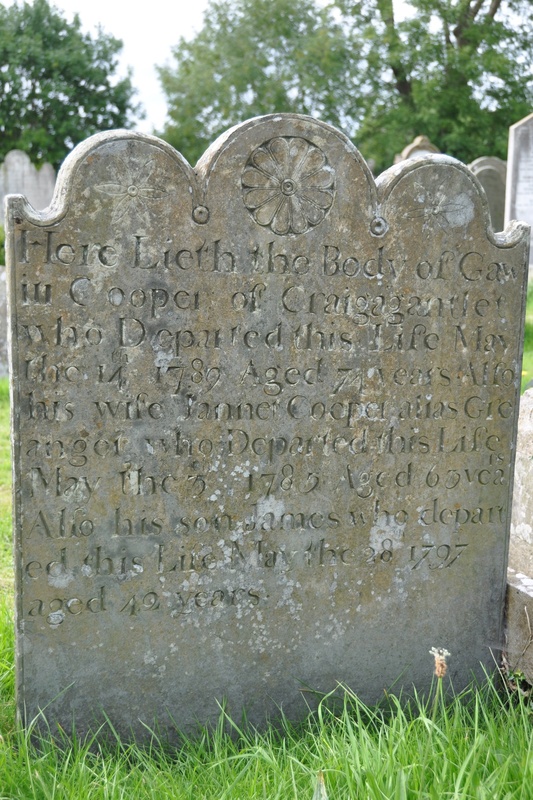 The closest I have seen to the official name is on this 18th century gravestone in Movilla Cemetery. 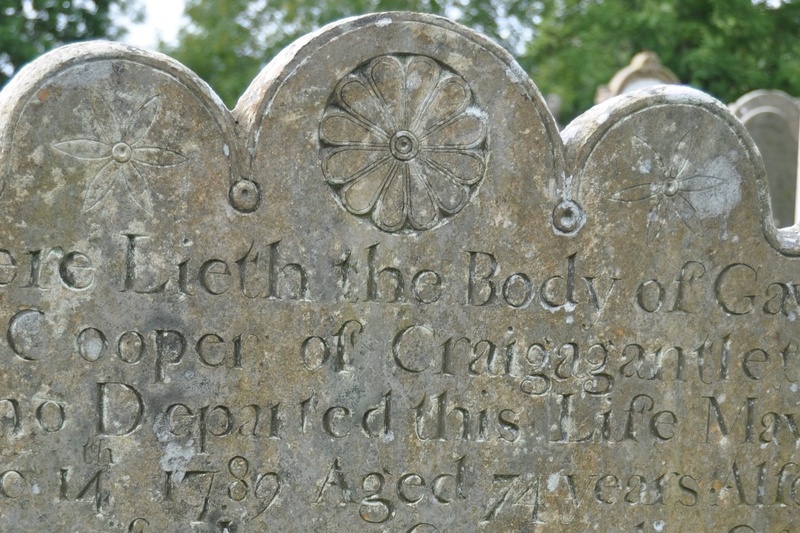 Thanks to my cousin’s research, I now know that these Coopers of Craigagantlet are part of my family tree. As to the meaning of the townland name, according to the PLACENAMESNI website, it derives from the Irish Carraig Ó gCaoindealbháin meaning “rock of the descendants of Caoindealbhán”. 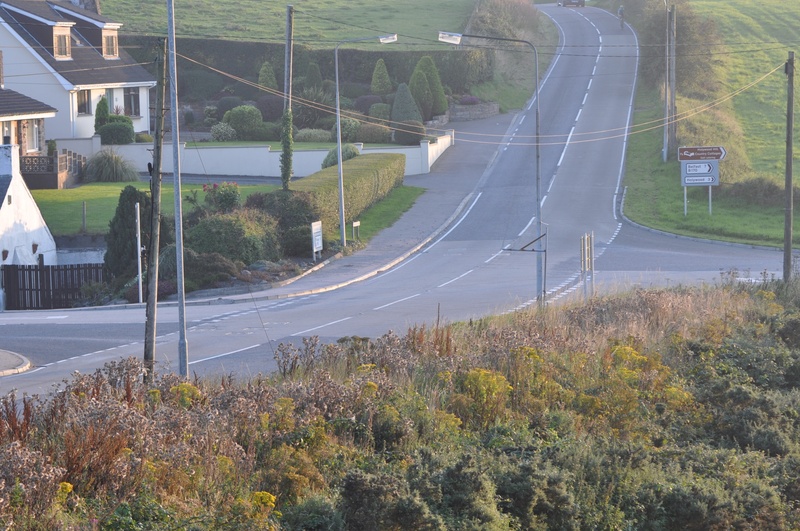 Most of the roads across this rural townland lead to one crossroads. Take care here – it’s busier than you think, and it took a while before I could photograph it without traffic. The motor racing event known as the Craigantlet Hill Climb takes place every year on these hills, but the route is actually in the neighbouring townland of Ballymiscaw. Away from the crossroads and the Hill Climb, Craigantlet is quiet. And this is the sweetest-smelling townland that I’ve been to. The smell came from this. 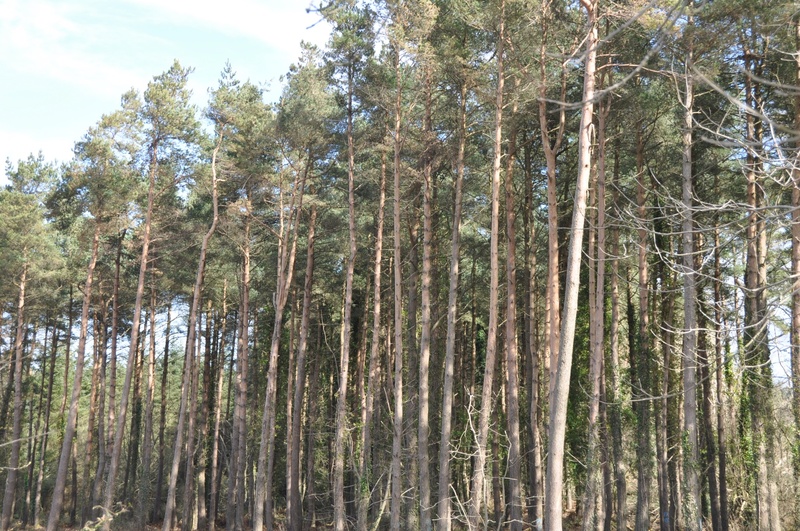 Unfortunately, the large-scale felling took place because of a disease affecting the larch trees. I hope they can plant more trees soon. 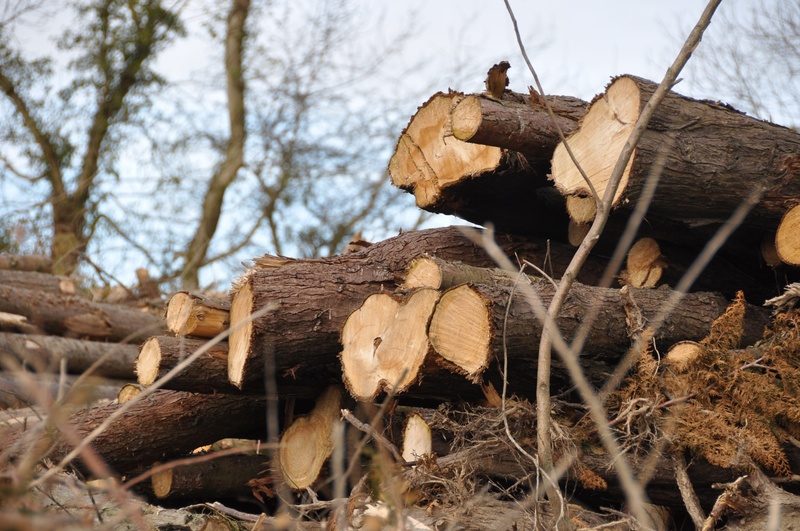 For more on the story of the larch disease, click here to read the report from the local newspaper (The County Down Spectator). Click here to see photos from the Craigantlet Hill Climb on 2nd May 2015 from the website of the Ulster Automobile Club. Which civil parish is Craigogantlet in? Newtownards. 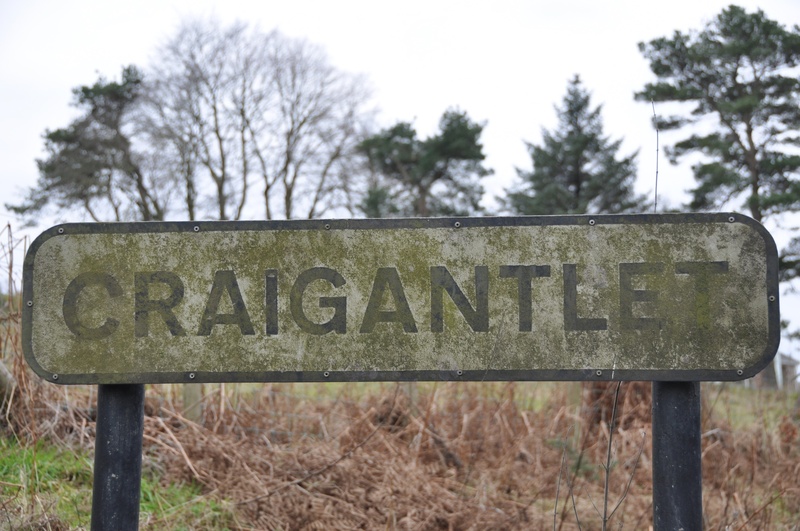 Which townlands border Craigogantlet? From Craigantlet, it’s downhill in every direction. Staying in Newtownards parish, you find Ballymoney, Ballyskeagh High and Killarn. Over the boundary with Bangor parish is Ballysallagh Major. Go down the western side of the hills and you reach Carrowreagh and Dunlady in Dundonald parish. Move north into Holywood parish and the next townlands are Ballymenagh and Ballycultra. 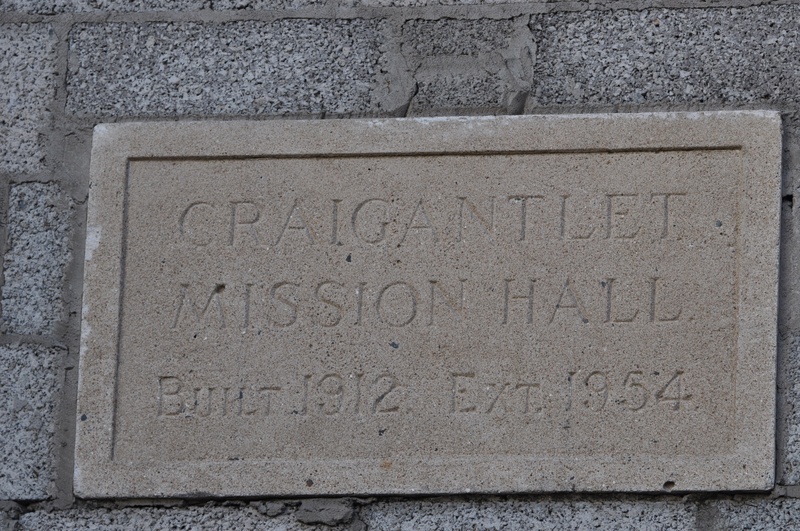 And finally, click here to see a map of Craigogantlet and to read about the townland’s name on my usual source – PLACENAMESNI.ORG. I love the gravestone. That’s an unusually long inscription, isn’t it? Yes, but I have been finding many old gravestones with long inscriptions. I look for townland names, and then get interested in the whole history of the people and the places. I’m thinking of making a page for this blog just for old graves. That would be great. I am a fan of old cemeteries and of course the “old” ones here only go back to the 18th century. I’m still trying to get over the mouthful of the full name – Carraig Ó gCaoindealbháin!! I think I would be stuck at “Carry… car…. arghh? 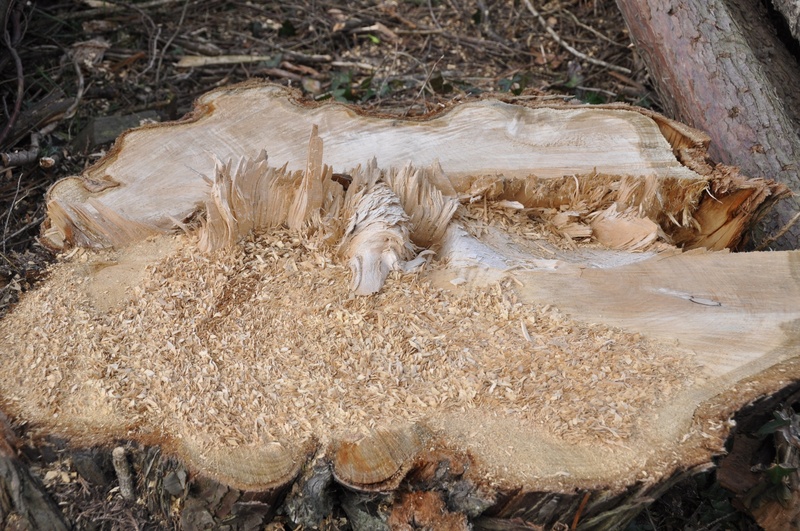 !” Pity about the trees getting diseased but hope all that gorgeous wood is going to good use! That’s a good question about the wood. I don’t know what happens to it.